hd00:10Burning candles in front of the altar in the church. Praying parishioner of the church. 4k00:06background candles burning in the Church. hd00:16Metal candle light cresset in church. 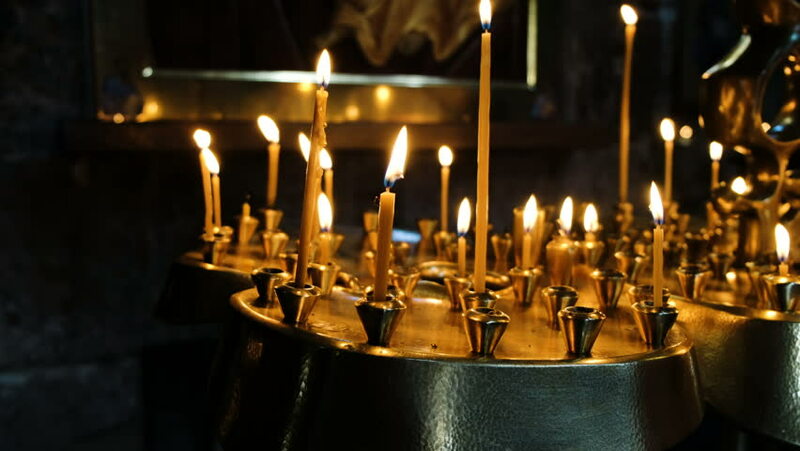 hd00:08Many Candles Burning in a Church. The Light Shining in the Darkness. Candles burning Before The Altar, Icons and People In The Church.